This plugin is unsupported!!! Use CombatTagPlus instead. The essential PvP plugin that prevents hit-n-quit players. No longer will the fun of killing other players be ruined! Combat tag is a plugin that can prevent your players from pvp logging, period. When your players are in the heat of battle, sometimes someone gets cold feet, and logs out while in combat! This means that the player can no longer be harmed, because they are offline. This can be EXTREMELY irritating to other players, because the person they were attacking, is now safe and keeps all of their items. Combat tag makes it impossible to pvp log! When a player is struck by another player, combat tag logs it in its log. If one of the players logs off within 10 seconds (time can be changed) of being struck, combat tag comes to play. Combat tag makes it so that if the player logs off within the ten second field, he spawns an NPC with the same inventory/health as him. The player that was attacking then can attack the NPC, and the same is done to the logged off player. If the player kills the NPC, the player that logged off in combat is also killed, and drops everything in their inventory. If the player causes damage to the NPC, the player that is logged off also takes the damage (including armor). All "ct" can be replaced with "combattag"
As with any plugin where fake players exist, there will be places where other plugins do not take into account the possibility of fake players and may have unexpected results. I can't change how other plugins handle these NPCs, so probably a good bet if you're getting random PvPLogger files is to change the npc name to "player." That way the player and the NPC will share the same files. Hey, I love this plugin and use it for all of the servers I'm working for as an SYS Admin, but for some reason, it wouldn't work on one server. Whenever I upload the .jar file to the plugins directory, then reload the server, it wouldn't show up in /pl. I'm using Spigot 1.8.8 for my server, and I really want this to work, please help! Because you can't actually tag a plugin file with the version of 1.8.3 or higher. 1.8.1 is the max. This change log for this release instructs me to update to 1.8.3, but the "Game version" listed in the side bar-thing specifies 1.8.1. Why the discrepancy? @Techable I've noticed that you seemingly must have an option for the "tagDisplayMode" has to have something in it. Is there a way to disable it completely? Also it seems the boss bar option blocks arrows because of the wither near the tagged players. It also seems messages of who tagged you do not run anymore. Also the command /ct reload and /ct add do not work. The development build works with spigot 1.8.7 with no bugs but one, it doesn't generate a config file and ignores the previous version config file, so the tag time and important options aren't available to configure. Any advice to fix it? is there a workaround? or do we wait for an update? In the configuration file. I think it is combatTagDisplay. How can the wither combat tag be disabled? 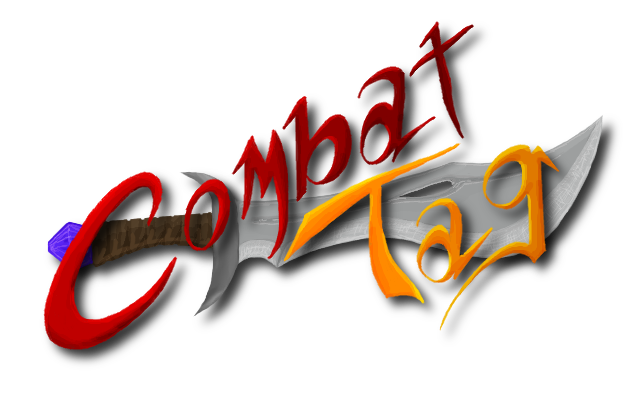 I've rewritten combat tag to make it easier for me to add new feaetures and fix the bugs. Please switch to that build. Seems to be broken with the latest spigot versions? No errors just doesn't seem to create the fake players. Here's the development builds. If it's not listed on the main page. Just google the name of the plugin with jenkins at the end. Have a good one! 8-) http://ci.techcable.net/job/Combat-Tag/. Is there a repository for the development builds? I have tried looking about this page and on the github page, and for whatever reason I can't find this. Update to the latest development build (#15). Sorry it took so long to fix. I could do some chat magic to make it stay in the task bar. Basically resend the entire chat every time the countdown changes. It will take a while though.